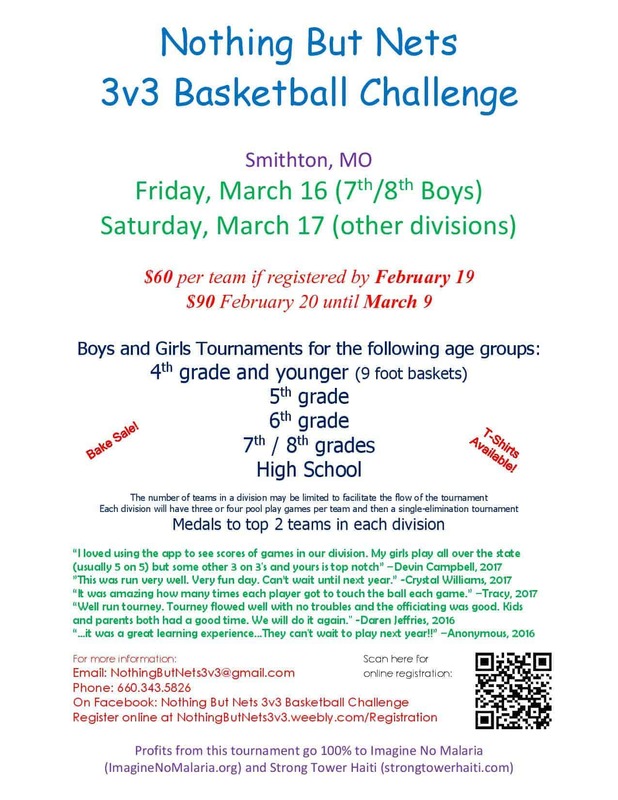 This is a youth (Grades 4 thru High School) 3 on 3 basketball tournament in Smithton, MO on March 16 and 17. Each division will have three or four pool play games per team and then a single-elimination tournament, with paid referees. Medals to top 2 teams in each division. T-Shirts and hoodies available.